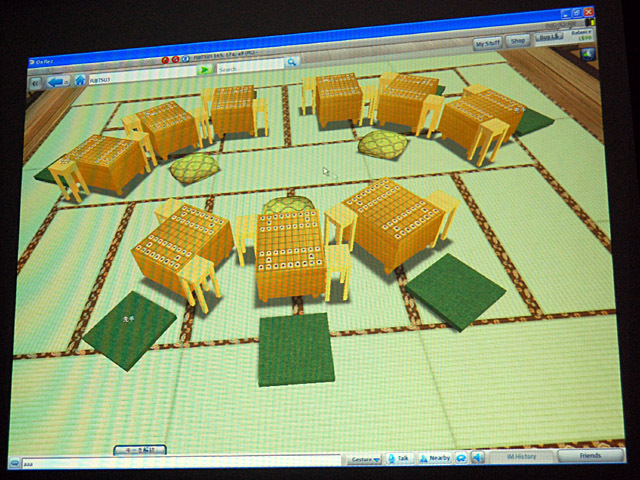 On November 2, Fujitsu unveiled a press release titled as "Fujitsu Islands" Open in Second Life . According to it, there are three "Fujitsu Islands" there. FUJITSU3(the 3rd island) seems to be a so-called SHOGI ISLAND. Here is the description. Results of collaborative research on brain functions undertaken with Riken and Japan Shogi Association, exhibition space on shogi history, shogi game hall, etc. 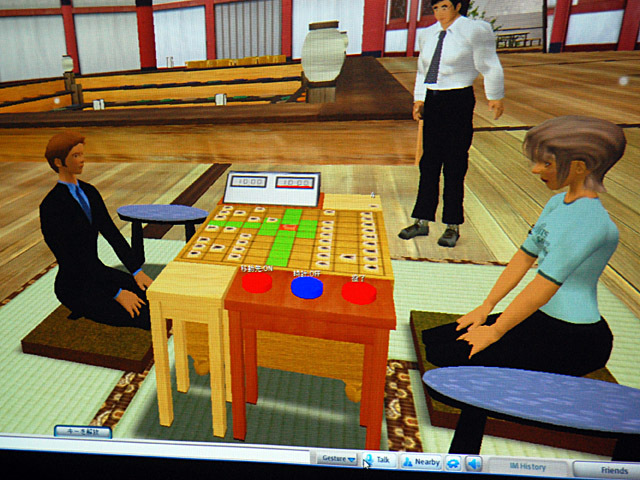 I would like to add some links with the shogi related photos regarding this matter in other Japanese net-medium. Playing Room with simultaneous game setting. This Fujitsu's release is covered by PRdomain BUSINES REGISTER in India. I guess this is caused since there are many good programmers who can create Socond Life contents in India. The 1st game of 20th Ryuo-sen seven-wins match between Ryuo Watanabe and Challenger Sato on October 16 and 17. As a result of Furigoma, Sato became Sente player. Watanabe won the game in 114 moves. The diagram above is the resignation diagram. After the diagram, here are the possible variations. The image below is the monthly pageviews and visitors of Kifu by Opening Strategy which is a llink collection to shogi games in Kifu Database with tags of opening strategy. I think the down of total pageviews in October comparing with September is caused by browser usage. In September, there may be many readers who don't open a new window/tab when they click the links to the shogi gamerecoreds in the database. In October, the readers who open a new window/tab when they click the links to the gamerecords may be increasing. I think the blog more or less meets shogi fans outside Japan to some degree since the total visitors are still increasing last month.